The Amerock BP1585G10 Inspirations 1-1/4in(32mm) DIA Knob is finished in Satin Nickel. Clean, classic lines in a casual relaxed style, Inspirations is designed to compliment any dicor. The classic Satin Nickel finish provides a sleek, lightly brushed, warm grey metallic look. 32mm Domed Raised Panel Knob The Bundled Reed 1-1/4 in. 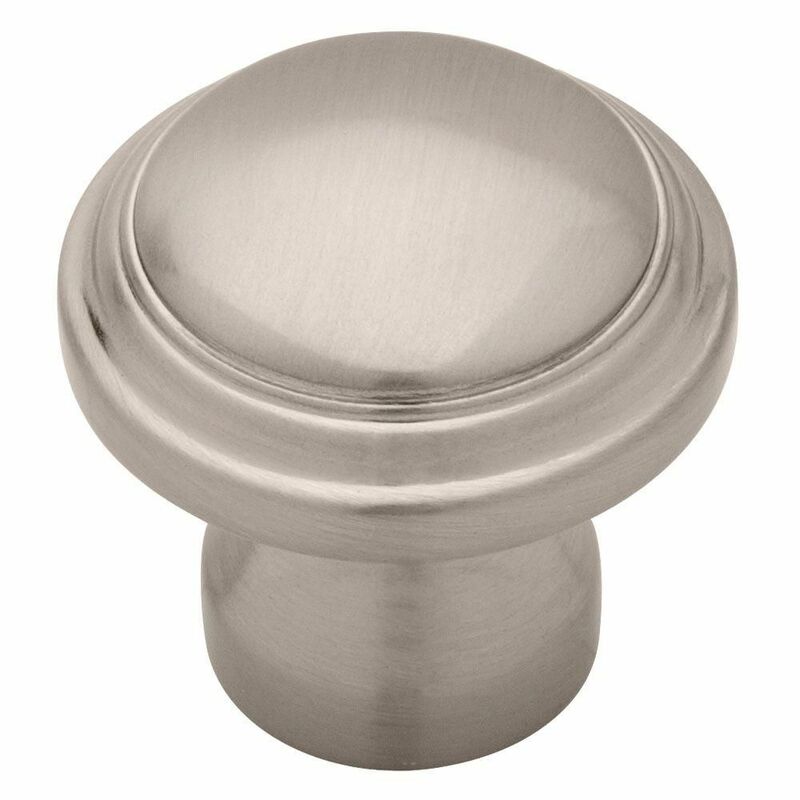 Satin Nickel Raised Panel Knob is a beautiful accent to kitchen and bathroom cabinetry. The traditional design and finish add classic style to your home. Installation is easy and the necessary hardware is included. 32mm Domed Raised Panel Knob is rated 4.9 out of 5 by 10. Rated 5 out of 5 by HomeDepotCustomer from These knobs were inexpensive and look great on my cabinets.... These knobs were inexpensive and look great on my cabinets. Rated 5 out of 5 by Barbara from Loved my knobs. They look really nice on my... Loved my knobs. They look really nice on my cabinets. Rated 5 out of 5 by Boomer19 from Knobs matched my new kitchen appliances. Easy to install. Knobs matched my new kitchen appliances. Easy to install. Rated 5 out of 5 by Marian from The cabinet knobs are high quality and stylish, not to mention very affordable. The cabinet knobs are high quality and stylish, not to mention very affordable. Rated 5 out of 5 by Scruffy from Easy to order. Easy to install. Updates... Easy to order. Easy to install. Updates my kitchen. Rated 5 out of 5 by Dave from Excellent Quality Easy to install with two different lengths of hardware included.